63. 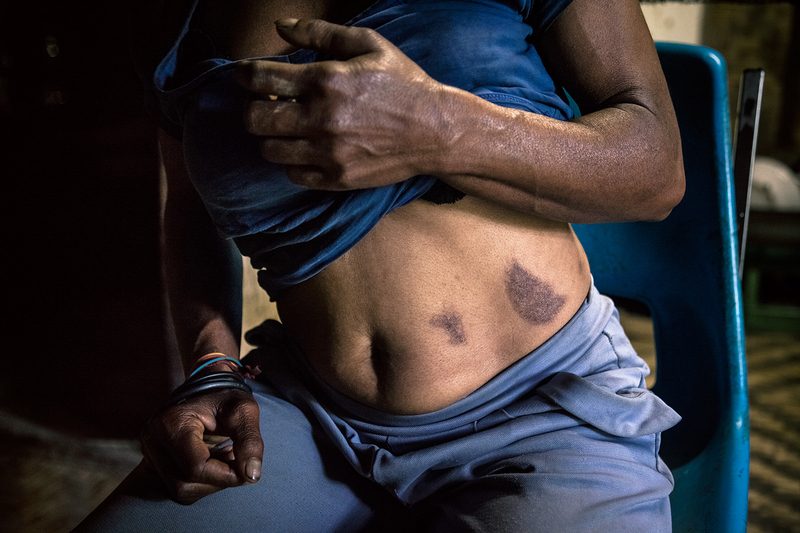 Wendi from Wara Chimbu village shows her scars. She was accused of sorcery by villagers who tortured her for three days.